​New Roots partners with community leaders and institutions in the Louisville metro area for our bi-weekly Fresh Stops of local produce. Our focus is on reaching neighborhood residents with limited access to fresh food. Mighty Kindness, an outreach of Clifton UU, is an organization that brings together the sustainable services of our eco-region in order to create a stronger, healthier, happier community. Our mission is to bring awareness to local earth, body, mind, spirit & heart friendly products & services. When we celebrate these offerings of community the circle of sustainability and kindness gets mightier! ​15 Thousand Farmers helps create, empower, and inspire 15 thousand new, sustainable, backyard/front yard farmers in the Kentuckiana area to feed their families and themselves! ​Bioneers is an innovative nonprofit educational organization that highlights breakthrough solutions for restoring people and planet. 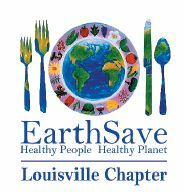 A guide to help you find sustainable and green businesses in the Kentuckiana area. An online directory in addition to a bi-monthly print version.